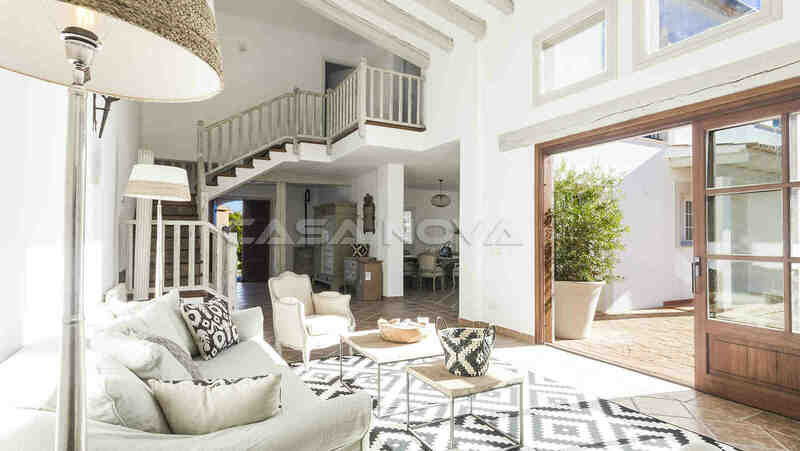 Real estate Mallorca: This exclusive Mediterranean villa with high-class structural fabric and the highest-quality interior equipment is in Palmanova, in marvelous southwest location and partial sea view. 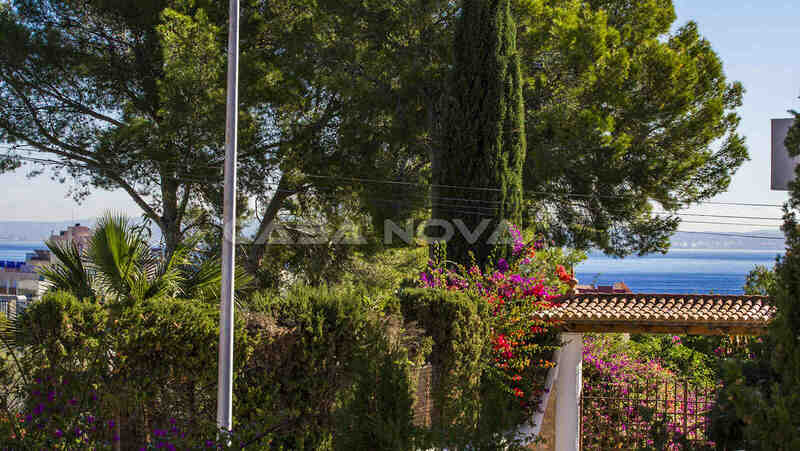 This Mallorca villa was built in 2008 and has a plot area of 1001 m2. 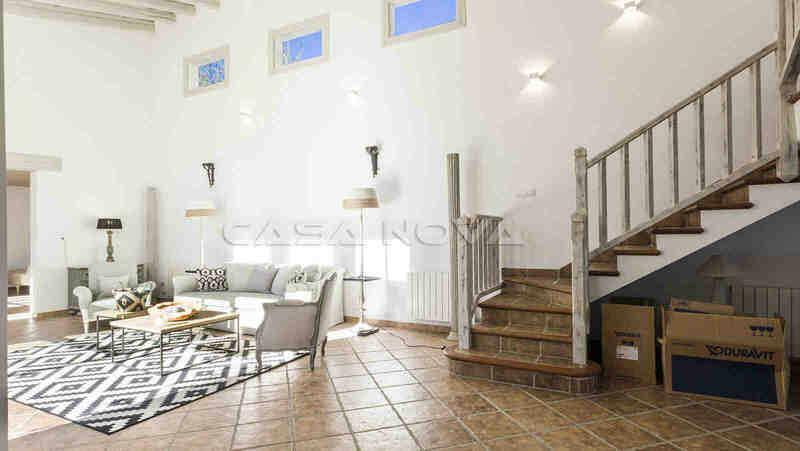 At 2 levels the villa with approx. 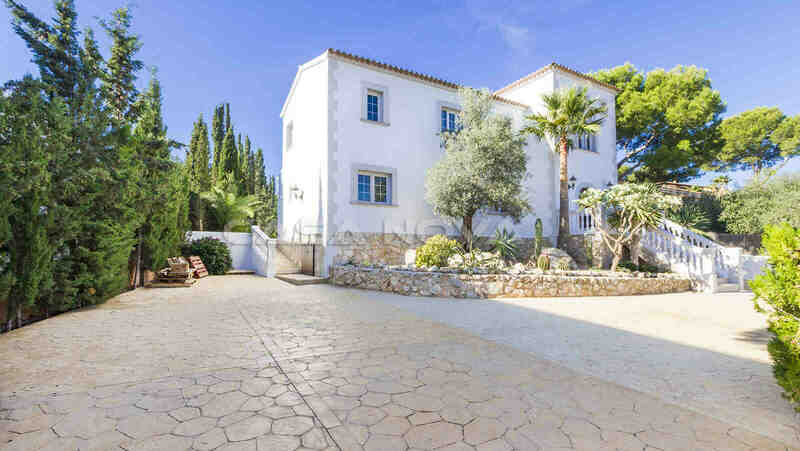 324m2 splits itself as follows: the ground floor serves as a living- dining room with open kitchen and direct access to the terraced pool area. 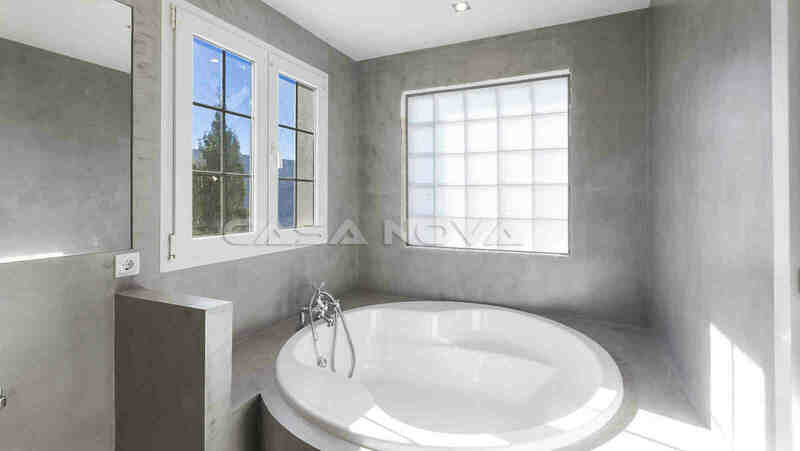 The villa offers 4 bedrooms and 4 baths en suite. 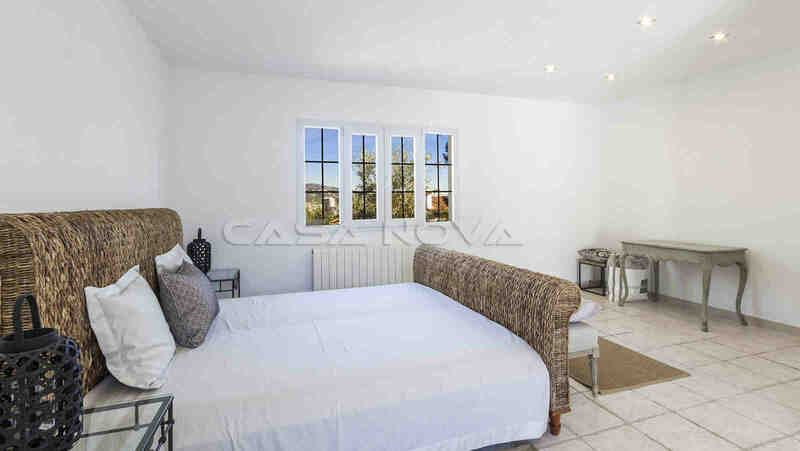 2 bedrooms with separate access to the pool terrace are in the ground floor. 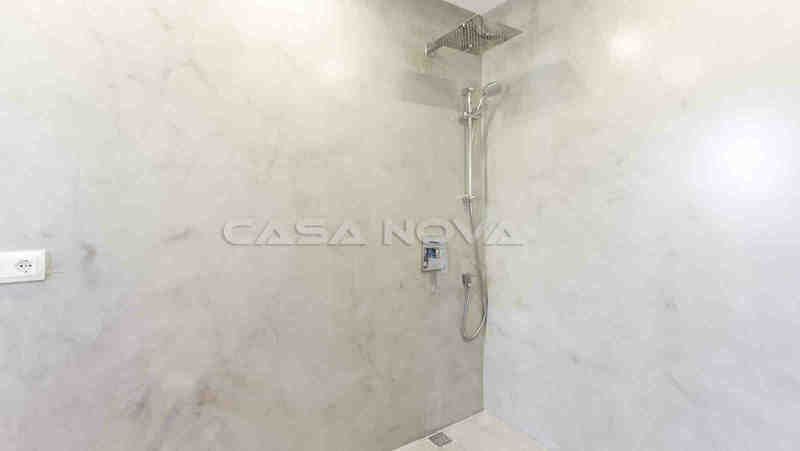 In the upper floor you have other 2 bedrooms. A separate company studio was cleverly integrated in the garden area. 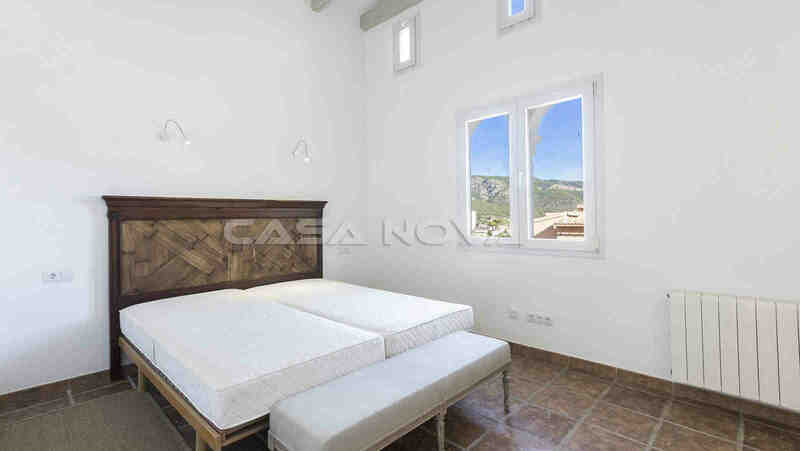 Specials of this Mallorca Villa are : Integrated music equipment, double-glazed aluminum and wooden window, under-floor heating, Mediterranean tiled floor, air-conditioning w/k and serveral parking spaces. Palmanova is the ideal place to take relax and to enjoy the beach. Here you enjoy numerous variations of the water sport, many high-class restaurants and bars. The great location permits quick trips to some of the nicest nature reserves of Mallorca and the visit of modern golf arrangements. 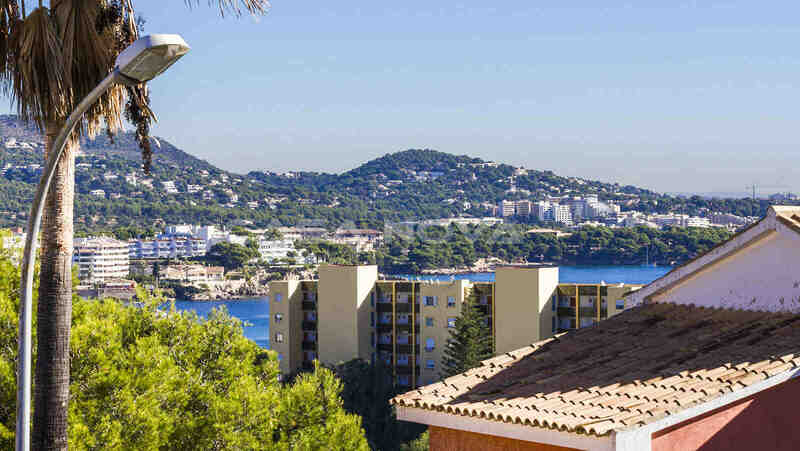 There are several golf courses in neighboring Santa Ponsa or Cala Vinyes. 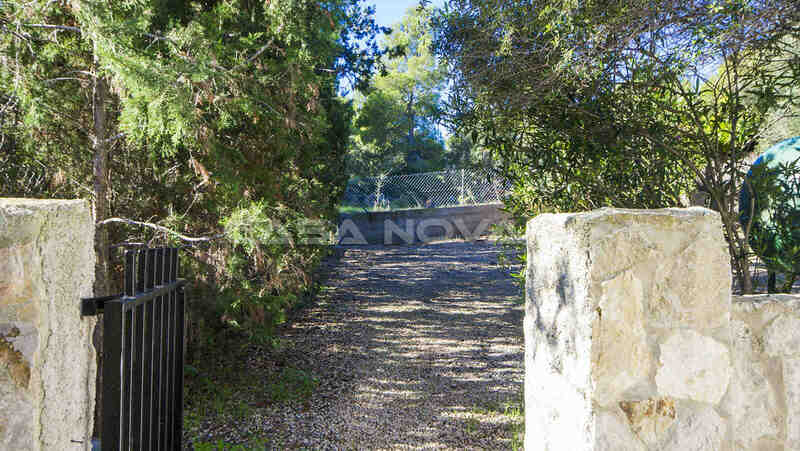 Real estate Mallorca in this exclusive location is a profitable investment in the future. 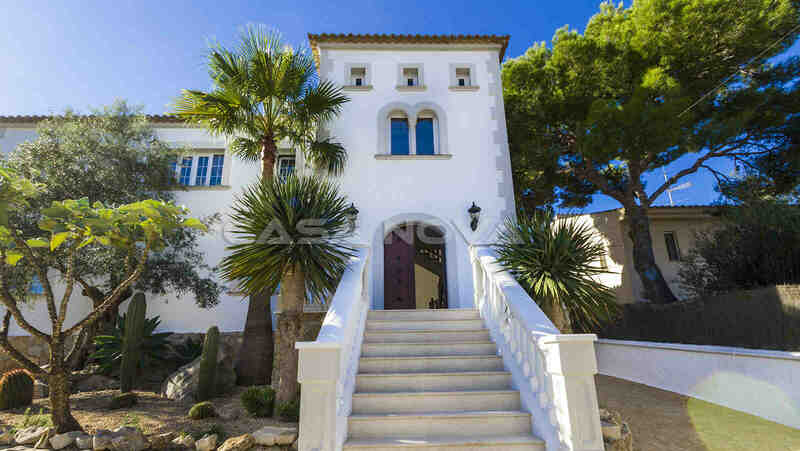 We present with pleasure to you as your competent estate agent this unusual villa Mallorca. For the buyer originates no brokerage.